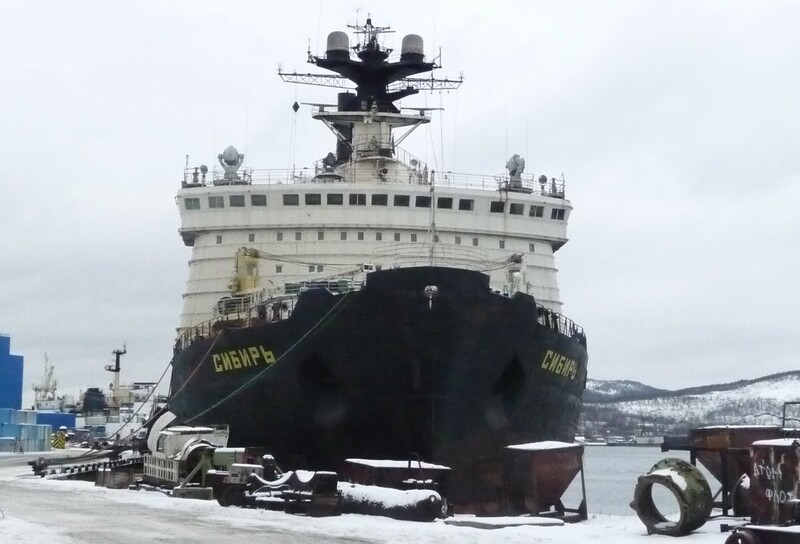 MURMANSK – Russia is set to begin dismantling the nuclear icebreaker Sibir at the Nerpa Shipyard north of Murmansk in 2017, representing the first time ever that such an atomic vessel has been broken down. The icebreaker, which was built at the Baltic Shipyard and launched in 1978, was retired from service in 1993. No funding was allocated for its dismantlement, however, until the government approved a Federal Target Program for 2016 to 2030 with funding for guaranteeing radiation safety. “The first project to dismantle and remove the reactor of a nuclear icebreaker is an important and emblematic moment because in the future there will be other such vessels that need to be dismantled,” Zolotkov said. Zolotkov added that developments with the Sibir put Atomflot, Russia’s nuclear icebreaker port, well ahead of its counterparts in the field of nuclear power stations, where experts haven’t yet figured out how to safely dismantle reactors. Mustafa Kashka, Atomflot’s chief engineer, said towing the vessel to Nerpa presented special safety concerns. The Sibir was subjected to a comprehensive engineering and radiological survey to determine that the vessel’s integrity was such that it could be towed to Nerpa. He said the Sibir’s spent nuclear fuel was unloaded in 1993 and that the reactor had worked for more than 100,000 hours. The Sibir was initially scheduled for towing to Nerpa on November 11, but that was delayed because the nuclear cleanup vessel Itarus is currently located at the shipyard. Yevgeny Svidirov, Nerpa’s communications chief, told Bellona that the towing had been delayed for several days because of “navigational complexities” and that the Sibir would arrive as soon as possible. Next year will see the Sibir’s reactor dismantled at Nerpa. 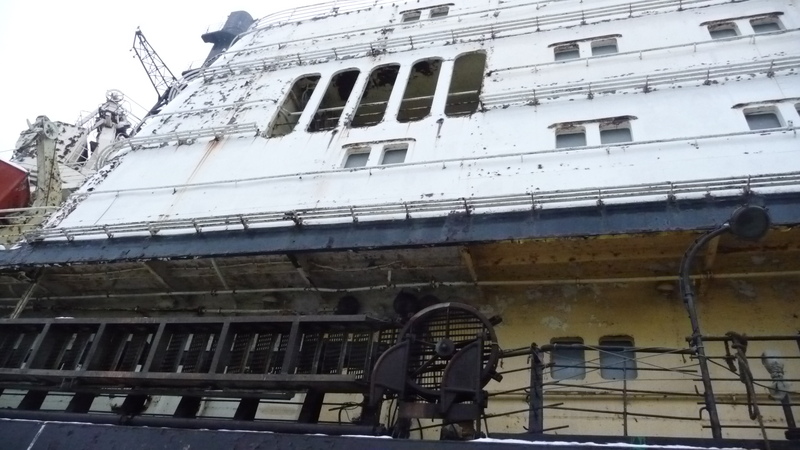 Much of the metal from the enormous icebreaker will be sawed into scrap, Atomflot said. 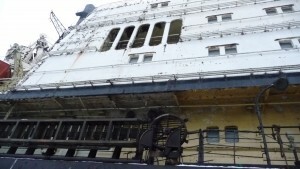 Kashka said this approach has helped to reduce the 7 billion ruble ($25 million) cost of dismantling the ship by 700 million rubles ($10 million), a sum he said was equal to operating the vessel for three to five months. With this first ever nuclear icebreaker dismantling, Atomflot hopes to show that such operations aren’t unmanageably expensive or overly time consuming. Kashka noted that the nuclear vessel decommissioning experiences in Murmansk is unique. Submarine dismantlement efforts there have dramatically reduced environmental and health dangers posed after the fall of the Soviet Union. But Bellona’s Zolotkov said many questions still remain. He said the Sibir’s reactor chamber contains not only a reactor but other equipment which raises the question of whether that equipment will be taken out separately. Zolotkov also said the dismantlement raised the question of whether or not the operation would be subject to a public hearing in Snezhogorsk, the closed nuclear city where Nerpa is located. The scrap from the Sibir is expected to fetch nearly $2.2 million, which will be applied toward the dismantlement costs. The nuclear icebreakers Arktika and Rossiya are currently in cold shutdown and are expected to be dismantled with funding from the same federal target program that’s covering the dismantlement of the Sibir. Atomflot is following the building of three new icebreakers that will take the place of those that will be dismantled and in some cases assume their names. The hull of the lead ship, the Arktika, has already been laid and the next Sibir and the Ural are in different stages of construction.